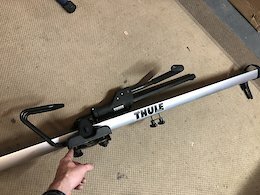 Thule bike rack for roof cross bars. 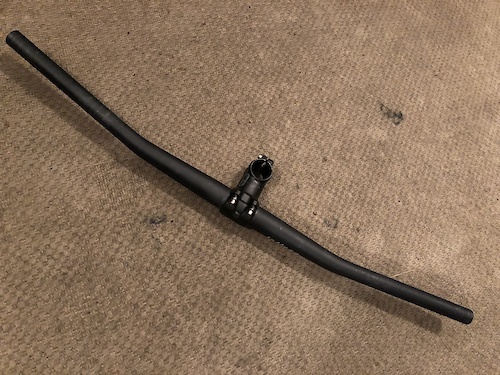 Fits either Thule, Yakima or factory cross bars. ethirteen trs+ adjustable chainguide Perfect working condition. Marda Loop area of Calgary. 2018 Santa Cruz 5010c R Size L This bike is in near perfect condition. The frame has no nicks, scuffs or scratches. Carbon C Frame SRAM NX 1x11 Drivetrain SRAM Level T Brakes SRAM 180mm Rotors Fox Rhythm 34 Fork Fox EVOL Float DPS Shock RaceFace Aeffect 175mm Cranks RaceFace Aeffect Dropper Cane Creek 10 Headset RaceFace Aeffect35 50mm Stem RaceFace Aeffect35 760mm Bar WTB STP i25 Rims SRAM Hubs WTB Silverado Saddle Maxxis IKON tires This bike is $5349 plus GST in the shops. Save a bundle and buy this one for $4275. 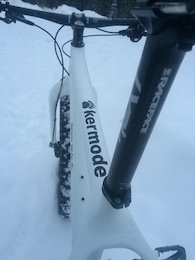 Available to show the bike in Marda Loop area of Calgary anytime. Cromag OSX35 Fubar bar. 760mm length and 35mm diameter with 20mm rise. 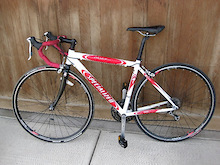 Nice condition; only a small amount of scuffing at the stem mount point. 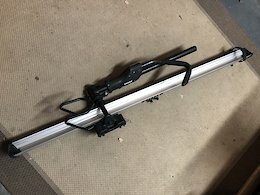 Selling bar one for $50. 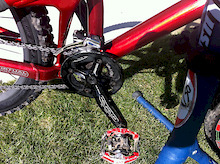 Will sell a package with RaceFace Atlas35 50mm stem for $90. NOTE: Atlas stem is SOLD!> Available to meet in the Marda Loop area of Calgary. RaceFace Atlas35 50mm length stem in very good condition. 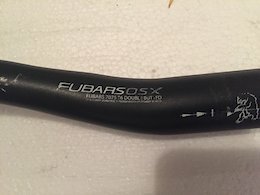 Selling stem alone for $50, but will sell bundled with Cromag OSX Fubar 760mm bars with 20mm rise for $90. Bars are in great shape; only minor scuffing around the stem mount. Pickup in marda Loop area. EVOC bike travel bags for rent that will fit your 26”/27.5”/29” XC, trial or enduro rigs, or your road or cross bikes. The EVOC bags are easily the best product on the market. Easy to pack your bikes and very simple to lug around the airports. You won’t go back to annoying plastic clamshell cases or wimpy cardboard boxes after you’ve used these EVOC bags. Watch a TSA agent repack your Thule clamshell case after their obligatory inspection and you will understand why these upright zippered EVOC bags are so great. Pricing as follows: - $50 per bag for up to four days - $85 per bag for up to one week - $120 per bag for up to ten days - $160 per bag for up to two weeks - $225 per bag for up to three weeks - 10% discount for renting two bags together Pickup/return in Marda Loop area. Reservations available with 20% non-refundable deposit, which will be subtracted from your outstanding balance. Message me with your dates and I will add your reservation upon payment. Existing 2019 bookings: - April 12-18 - May 14-16 - July 2-9 All other dates currently available.